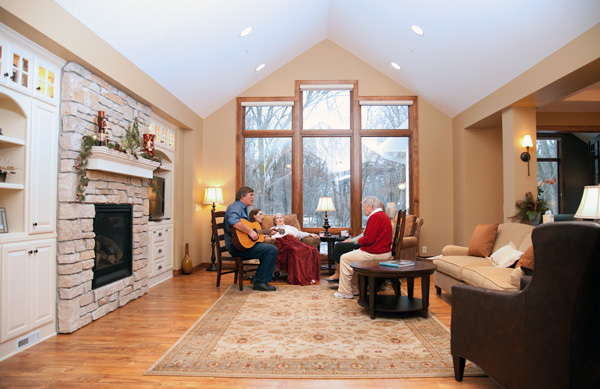 The Living Room at each Arthur's home offers a pleasant place to socialize and share friendly conversation. The vaulted ceiling, exposed beams, fireplace, comfortable furniture, and beautiful picture window views create a very relaxing and welcoming environment. Occasionally our residents will choose to watch something on the television together. I Love Lucy, old musicals, a sporting event, or the news are things that bring people together. However, if the residents are not interested in the TV, it isn't on. We prefer to keep our residents engaged in the activities we are doing in the house and do not use the television as a substitute for caring attention. In Roseville we have a more intimate sitting area off the living room. This is a favorite place for clients to read the newspaper and listen to music, or to get their nails done. Another client chooses this place to read her Bible. It is a great place to sit and observe the activity of both the living room and the kitchen. This well-lit spot is right off the deck overlooking the back yard, and is also a favorite spot for naps. 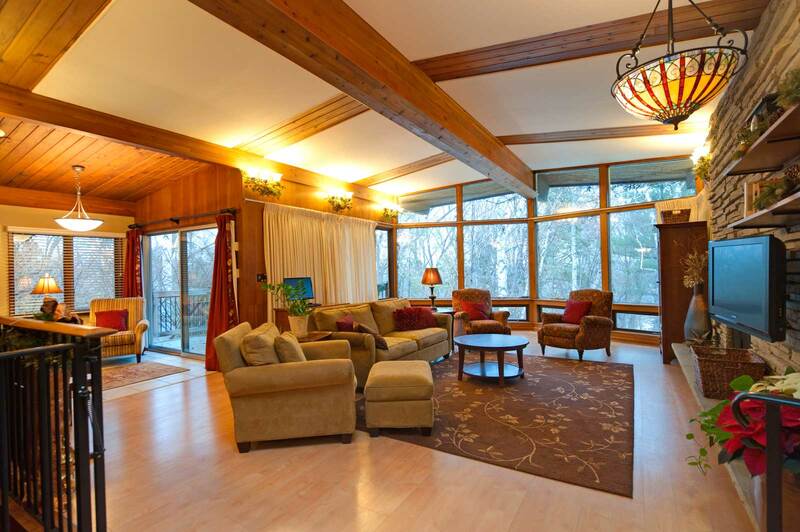 Our home in Shoreview has a four season porch with a fireplace which overlooks the wooded yard. This is a natural place for families to gather to visit with their loved ones. We have enjoyed watching the deer throughout all the seasons, and were quite entertained by the mother turkey who brought her rather homely looking adolescents around all summer. Of course they matured into the true beauty of their species by the end of the year! The kitchens in our homes are beautiful and convenient, and meet all the requirements for our Assisted Living Class F License. Our clients can access the kitchen anytime to get snacks, or to watch or help with meal preparation. 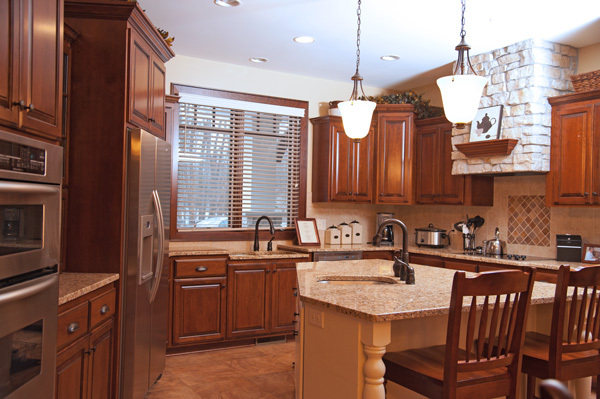 A counter with tall chairs makes it an easy place to sit and visit or join in some baking or other kitchen tasks. The dining rooms at Arthur's are places where all clients, staff and visiting family members eat together. Meal times are a time to socialize and catch up on each other's lives. Our menus have been prepared by a dietitian with a focus on high nutritional content and appeal. Everyone at the house has a say in what we have on the menu, and we are free to change it and add new favorites. As a person's dietary needs or needs for assistance change, the staff are available to assist at whatever level is required. Arthur's has the support of a team of maintenance staff who are available when needed. Any safety issues are addressed the same day. The home is completely wheelchair accessible, with a wheelchair accessible van.